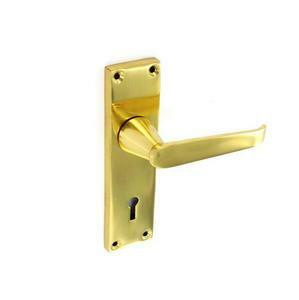 Lever Lock Handles are designed for use with sash locks, and come with a keyhole. These handles are suitable for use inside or outside on wooden doors. The back plate measures 137mm x 38mm. Comes as a set with left and right hand, with screws and spindle included.